Chottanikkara Bhagavathy temple is one of the most famous devi temple in Kerala. The temple is located in Chottanikkara in Ernakulam district of Kerala. The two main deities are worshipped in this temple complex in Melekkavu and Keezkkavu. The lord Rajarajeswari is presiding in Melkkavu and Badrakali (Durga) in Keezhkkavu. Makam Thozhal and Navaratri Festival are the main festivals celebrationg in this temple. Sri Chottanikkara Bhagavathy Temple is one of the important temple in Ernakulam district to conduct Vidyarambham in Vijayadasami day. Temple Location : Chottanikkara, Ernakulam, Kerala. Chottanikkara Temple Mahanavami Navaratri festival begins on 10-10-2018 and it ends on Vijayadasami day 19-10-2018. 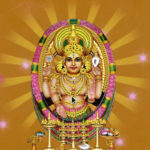 Vidyarambham / ezhuthiniruthu will starts on early morning on the vijayadasami day.